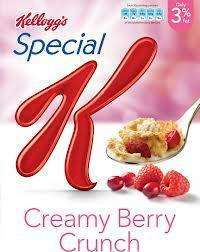 Special K Cereal 320G Creamy Berry Crunch only £1 at asda! Deal posting newbie! This is sueh81 first deal post. Help out by leaving a posting tip or just to show your appreciation for their contribution.